I was so incensed by this cape-based curtailment that, for the first and to date only time in my life, I wrote a letter to a TV channel about scheduling. 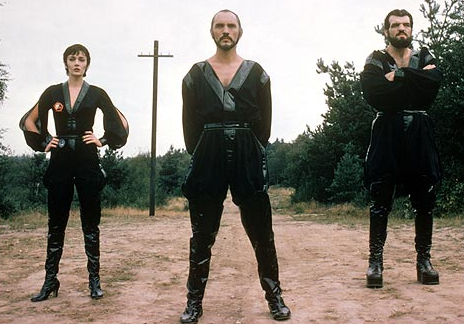 In this instance the guilty party, as I saw it, was Central Television for not putting Superman II on earlier and hence depriving me of everything after the point where General Zod, Ursa and Non arrive on Earth. For good measure, I threw in a request for information as to when the next James Bond film would be on. I knew it was a bit of a long shot, but at the same time I had more chance of getting a response, and even an apology, out of Central than out of my Dad. This entry was posted in September 1986 and tagged Glued to the box, Hopelessly atypical behaviour by Ian Jones. Bookmark the permalink.